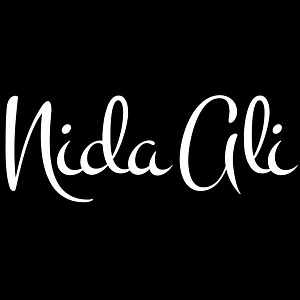 Nida Ali entered the fashion industry in 2004 with her debut lawn collection. Since then she has expanded into Pret and Bridal Couture and by 2008 had carved a niche for herself in Luxury Pret wear. Flamboyance, vivacity, and a unique blend of traditional embellishments on modern cuts is what describes the label best. She takes inspiration from nature and the rich cultural heritage around the world, while the professional in her gives the finishing touch to create the perfect ensemble. Her continuing creativity, unique sense of color schemings, and strong aesthetics is what sets her apart from the crowd. A graduate in Textile and Fashion Design her style ethos is a blend of eastern and western contemporary trends. Her unusual use of print and inventive cuts are her distinguishing qualities. Using pure fabrics that give a sleek streamlined fall she gives an edginess to her clothes. Using carefully placed motifs around the pockets and back give a playful fun look to her pieces. She currently stocks at leading multi-label stores in Karachi, Lahore, Abu Dhabi, and Dubai. While her forte remains pret and smart casuals, her bridals and formals are equally appreciated for their classic look. Visit our Events page for updates on a her latest collections.